The Communist Party of China (CPC) has earned an important place in history for its struggle to bring complete independence and immense development to the Chinese people, a senior Cuban official said Wednesday. “The CPC is a pragmatic example of the struggle of the oppressed and poor people across the world,” Oscar Martinez Cordoves, deputy head of the International Relations Department of the Central Committee of the Cuban Communist Party (CCP), told Xinhua in an interview. “The CPC was the author of one of the most significant revolutions in history, whose echoes have resounded throughout the past nine decades and will continue to resound in the future,” he said. 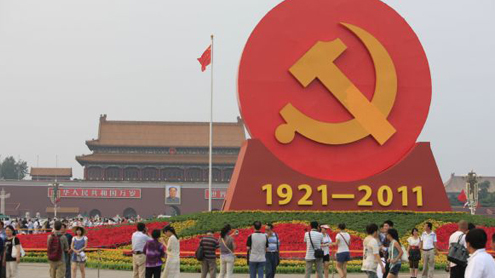 The CPC will celebrate its 90th anniversary Friday. It established the People’s Republic of China in 1949 and has helped realize significant economic development in the country. The Cuban official said the CPC is an example of how a socialist country’s policies can be adjusted according to its specific domestic conditions while abiding by the general concepts of Marxism-Leninism. Asked about socialism with Chinese characteristics, Martinez said each socialist country, when building socialism, must take into account the specific characteristics associated with its history, culture and people. “China is a country with an ancient civilization and history. It has a vast territory and a very big rural population, composed of numerous ethnic minorities. Those features require an economic process that can produce considerable quantities of goods and a wide network of services to meet social demands,” he said. Martinez said the CPC insists social harmony is an essential attribute of Chinese socialism, and the concept includes boosting the economy, equitable wealth distribution and social justice. The CPC has tremendously improved the Chinese people’s living standards in a comparatively short time, which illustrates the advantage of the socialist system, he said. Finally, “both the CPC and the CCP have the colossal task of working with the people, by the people and for the people to build socialism and face the international challenges for the benefit of each member of their societies and for the good of humanity,” Martinez said.